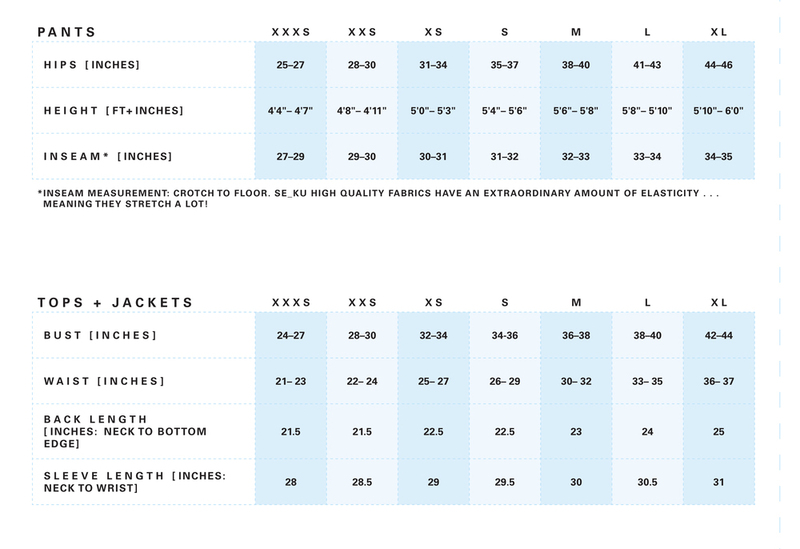 The sizing of Se_Ku garments mirror adult & junior retail sportswear. Still not sure what size to order? Contact us at 213.634.4614 or sales@sekuskatewear.com for more sizing information.